Text messaging has become a popular habit among teenagers today. They use it as a primary means of communication with friends. 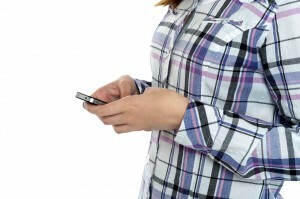 Many teens are texting as a habit that they almost do it all of the time. Many teens text while walking, while hanging out with friends or even while doing some important activity or schoolwork. While texting in itself may not be bad, the way that many teens do it may be the main problem. Many teens sometimes cannot stop texting even while they are on the move or while doing some other activity. Texting requires concentration and focus. Some kids can be so engrossed with texting while walking that they fail to mind the possible dangers. They may fail to see an incoming vehicle while crossing the road. They might not notice that hole in the pathway. Texting while driving can even be riskier as it can cause car accidents. Aside from being illegal in many states, texting while driving makes you a danger on the road. No matter how good a driver you are, texting while on the wheel and out on the road is inviting danger. Avoid doing both at the same time. If you need to read or reply to an incoming text message, stop over on the curb first before you do so. It is even better if you put your phone in silent while you drive to avoid being distracted by any new phone messages coming in. Avoid texting in dark or isolated areas. If you are in an unfamiliar place or out alone in a dim-lighted area, avoid taking your phone out from your bag to start texting. Doing so might make you become an easy target for theft. Some criminal might be lurking somewhere looking for possible victims. Seeing you engrossed with texting and all alone makes you an easy target. You might end up getting your highly valued cell phone stolen. Make sure that you become more alert and aware of your surroundings by tucking your mobile phone away for the moment. Avoid distractions totally by turning off your phone. If there is something you need to do that will require your full attention, turn off your mobile phone. You will be less tempted to answer calls or text messages if your phone is turned off. This can help prevent possible injury or harm while doing a certain activity that requires your total focus and concentration.